This firmware is only for Xiaomi Redmi Note 4 smartphone with Mediatek MT6797 as CPU. Download MIUI8 Android 6.0 Firmware for Xiaomi Redmi Note 4 smartphone from here or from here. 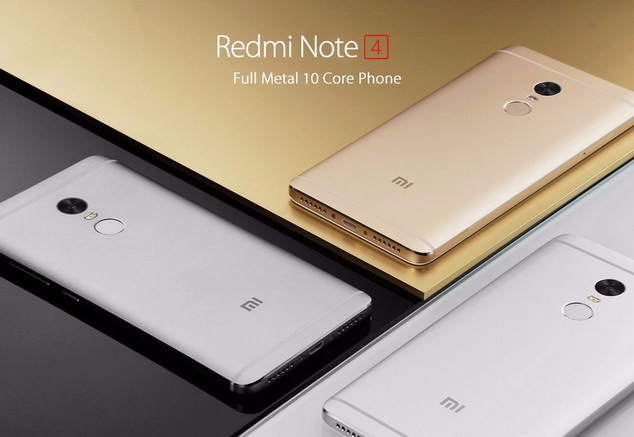 Xiaomi Redmi Note 4 4G Smartphone use Helio X20 Deca Core CPU, 3GB RAM + 64GB ROM with 5.5 inch 1920 x 1080 screen, MIUI 7 OS, promises quite a fast operation speed is quite amazing and impressive. 5.0MP front camera for convenient self-capturing, 13MP back camera for you to record every single moment clearly; 4G, GPS, Bluetooth, etc; all available making it the most valuable choice to buy Xiaomi Redmi Note 4. – Dual camera:5.0MP front camera and 13.0MP back camera with PDAF foucus,f2.0 aperture and LED flash.